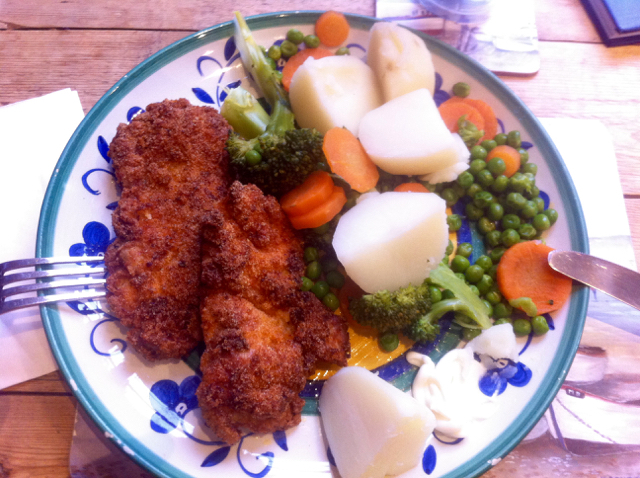 SuperFry Chicken Escalopes | suppertime! Tilly likes these so much we’ve added this to the menu in our Imaginary Café. Some chicken thighs (or breasts, but thighs are cheaper and tastier. Cheaper and tastier in the Suppertime way.) – 1 per person. Some buttermilk – or and egg / milk mix. Spicy sauce of your choice, e.g. a Mexican chilli sauce. Bash the chicken flat with a rolling pin. 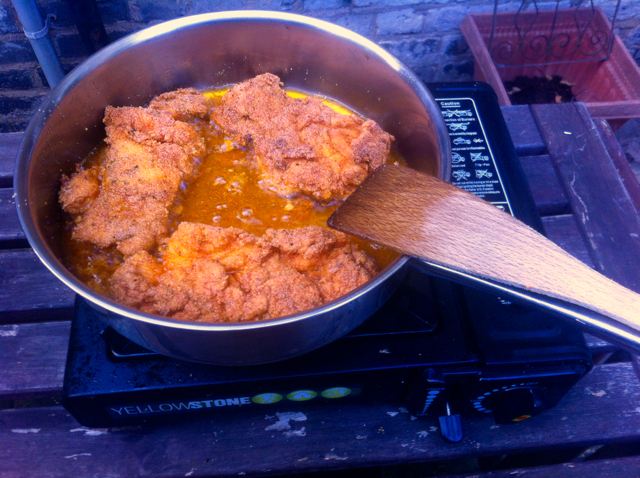 Put it in a bowl for a while with the buttermilk and spicy sauce mix to marinade. Meanwhile, in an old ice cream tub, mix all the dry ingredients, then put the lid on and shake like a Polaroid picture. When you’re ready to cook, take the chicken out of the marinade bowl, add to the dry mix, coat and shake. Then shallow fry for about 10 minutes on each side until golden brown. Serve with veg or in a sandwich. This entry was posted in chicken and tagged chicken. Bookmark the permalink.